Information central for the Minnesota State Court system. 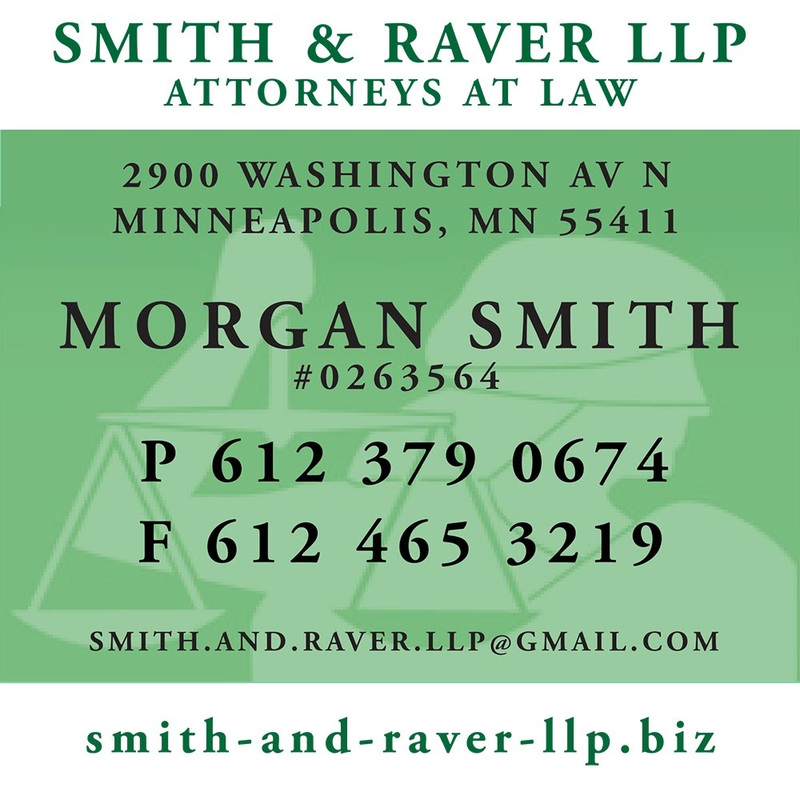 Search MARS, the Minnesota Attorney Registration System, for lawyers. Morgan Smith Id # 0263564. Richard Raver Id # 0264672. Where to file a complaint against a bad lawyer, or read the rules regulating the good ones. Information, news, and consumer protection assistance from the State Attorney General. Our recommended parking location for Hennepin County District Court, Conciliation Court, and Federal Court. Not sure if you're a party in a small claims case? Search for yourself here. Conduct your legal research online. A great resource for forms and rules concerning your business and relevant registration. Statutes, Laws and Rules, straight from the State of Minnesota. Information about driver's license, vehicles and more. Printing: Honsa-Binder Printing, contact Joe Haub, 320 Spruce Street, St. Paul, MN 55101-2445, 651.222.0251, Fax 651.222.2162; joe@h-bprint.com; www.h-bprint.com. For printing forms, letterhead, contracts, business cards, etc. We're delighted with his work, and you will be too!